As the result of his powerful performance in the QIPCO Champion Stakes (G1) on British Champions Day, CRACKSMAN (GB) has equaled WINX (AUS)  in the ninth edition of the LONGINES World's Best Racehorse Rankings for 2018. 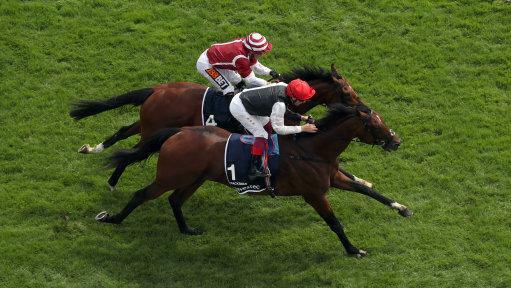 Cracksman, who also won the Champion Stakes in 2017, improved his rating from 125 to 130 when he pulled away in this year's edition to win by six lengths over CRYSTAL OCEAN (GB)  in his final career start. Earlier this season, Cracksman won theInvestec Coronation Cup (G1) and Prix Ganay – Prix de l'Inauguration de ParisLongchamp (G1). Winx, meanwhile, completed the year by winning the Ladbrokes Cox Plate (G1) for a record fourth time. She has now won 29 consecutive races. Another big mover in the rankings is BEAUTY GENERATION (NZ) , who improved his rating to 126 from 123 off of his half-length victory in the Sha Tin Trophy (G2) in Hong Kong. The Breeders' Cup World Championships, held at Churchill Downs, also provided a number of notable performances. In theBreeders' Cup Classic (G1), ACCELERATE (USA)  proved victorious, defeating GUNNEVERA (USA)  by a length.THUNDER SNOW (IRE)  was third, and YOSHIDA (JPN)  finished fourth. In the LONGINES Breeders' Cup Turf (G1), ENABLE (GB)  became the first horse to ever win the Qatar Prix de l'Arc de Triomphe (G1) and Turf in the same year. MAGICAL (IRE) , who came into the race off a win in the QIPCO British Champions Fillies & Mares Stakes (G1), finds herself ranked after finishing three-quarters of a length behind Enable, as she left the rest of the field nine lengths behind her. Additionally, ROY H (USA)  improved his rating to 122 from 120 after he successfully defended his title in the TwinSpires Breeders' Cup Sprint (G1), while CITY OF LIGHT (USA)  is ranked after taking the Breeders' Cup Dirt Mile (G1). In Australia, BEST SOLUTION (IRE)  won the Stella Artois Caulfield Cup (G1), while REDZEL (AUS)  repeated in the TAB Everest, and THE AUTUMN SUN (AUS)  impressed in the Ladbrokes Caulfield Guineas (G1). Elsewhere, REY DE ORO (JPN)  is ranked after defeating SUNGRAZER (JPN)  by 1 ¼ lengths in the Tenno Sho (Autumn) (G1) in Japan, while in Germany IQUITOS (GER)  took the Bayerische Hausbau – Grosser Preis von Bayern (G1) to join the rankings. This entry was posted in NL Article, Racing and tagged accelerate, Breeders' Cup 2018, city of light, cracksman, winx, World's Best Racehorse Rankings by Press Release. Bookmark the permalink.